Mack Eudy was born on April 30, 1894 [or 1893, as reported at the time of his military service], in the small community of Pioneer Mills in Cabarrus County, N.C., to John Silmore and Margaret Elizabeth Bost (who went by “Mary) Eudy. By 1900, the Eudy family was living in Cabarrus County, where John Eudy was working as a farmer. By the age of 16 in 1910, Mack Eudy was working as a farm laborer for his father on the family farm. By the time of his federal draft registration for World War I, Mack Eudy was living in the town of Locust in Stanly County, N.C., where he worked at a local sawmill run by J. H. Barrier. Eudy was inducted into military service for WWI June 25, 1918, at Albemarle, N.C.. He was assigned to the 156th Depot Brigade, in which he served until July 24, 1918. Eudy was transferred to Company D, 53rd Pioneer Infantry Regiment, U.S. Army, serving with the rank of Private. He remained in that unit until he was discharged. 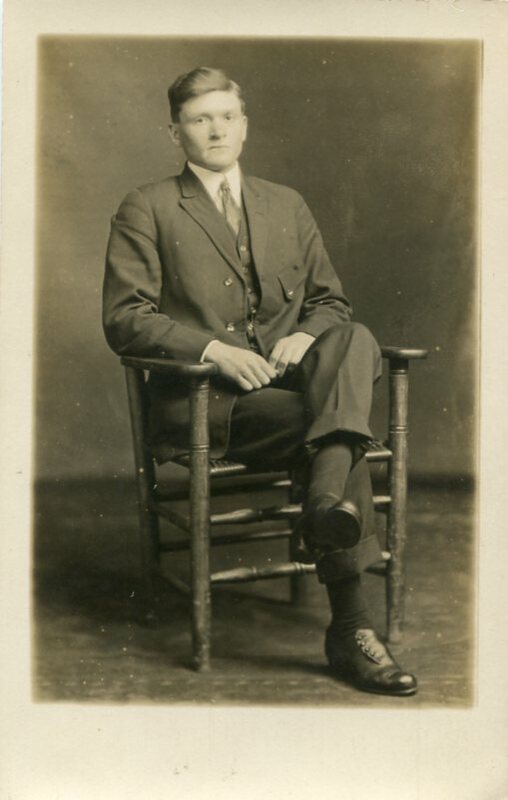 Eudy left the United States to serve overseas in Europe on August 6, 1918, and served overseas until returning to the United States on May 4, 1919. He was promoted to the rank of Private First Class on March 8, 1919, while serving with the U.S. Army of Occupation. Eudy was honorably discharged on May 12, 1919. Little is known of Eudy immediately after WWI. Mack Eudy married Lillie Ellola Robinson on February 27, 1926. By 1930, Mack Eudy was lodging with the Barrier family in Vance County, N.C., on his own, working as a sawyer at a sawmill with the Barriers. They are believed to be the same family for whom Eudy worked prior to WWI. By 1940, Mack and Lillie Eudy were living with their six children in Cabarrus County, N.C., where Mack worked as a carpenter. Mack Eudy died on May 29, 1992, in Charlotte, N.C., and was buried in Clear Creek Baptist Church Cemetery in the same city. 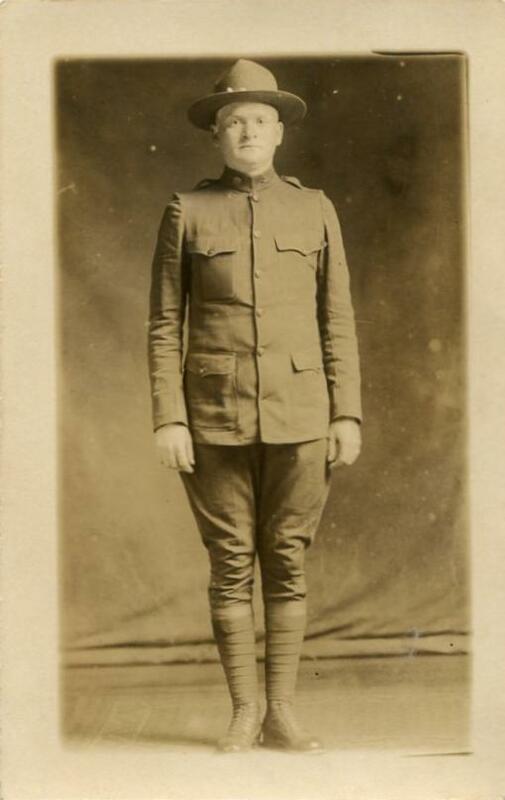 To learn more about Mack Eudy’s WWI service, check out the Mack Eudy Papers (WWI 108) in the WWI Papers of the Military Collection at the State Archives of North Carolina in Raleigh, N.C.